Location & Parking: Waterloo is a key transport hub with Park Plaza London Waterloo’s nearest stations being Lambeth North and Waterloo tube and mainline rail stations servicing London and commuter and visitor destinations including Portsmouth, Southampton and Bournemouth. As part of our CSR policy, we encourage our guests to reduce their carbon footprint as much as possible by using public transportation. For this reason we have decided against having on-site parking and to make way for more space and public areas on-property. The hotel offers valet parking service, through Car Spa Logistics, which can be booked via the hotel. Restaurants: Step off Hercules Road directly into a relaxing, all-day dining experience at Florentine Restaurant & Bar. From flatbread pizzas cooked spianata style to sensational updates on the classics, our menu includes ideal choices for couples and business travellers alike. Ideally located in Central London, the new four-star Park Plaza London Waterloo provides travellers with amenities that define comfort and taste. You can indulge in a meal at Florentine Restaurant & Bar or just order room service for a quiet evening in your spacious room. To relax between your London adventures, head to the on-site sauna or swim in the heated indoor pool. You can also stay connected with friends and family using our free Wi-Fi. Our guests can choose the perfect room type to fit their needs. Our One-bedroom Suites are ideal for travellers who appreciate spaciousness and are seeking interconnected rooms. Choose a Superior Room to enjoy a walk-in shower, or select a One-bedroom Suite for a dedicated bath. Exclusive rooms include a private terrace offering striking views of Central London. 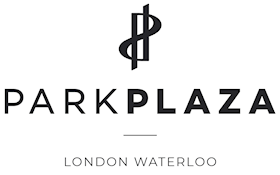 Guests staying with us on business can look forward to a well designed, contemporary event space at Park Plaza London Waterloo, located within easy walking distance of Waterloo and Lambeth North tube stations. Accommodating up to 190 delegates, our six meeting rooms are flexible enough to host intimate board sessions or company-wide seminars. Each meeting room ranges from 43 square metres to 67 square metres, and all feature movable partitions to create larger spaces with flexible arrangements. Our foyer measures 54 square metres and can be arranged to include a pre-function area. All event space features natural daylight, complimentary Wi-Fi, individual air-conditioning and a cutting-edge audiovisual system. We also offer on-site catering, a business centre and a convenient Central London location.